Review date: 7 September 2001. Flat panel monitors are slowly, but surely, becoming cheap. As long as you're satisfied with a 15 inch screen, don't want more than 1024 by 768 resolution, are happy to use ordinary VGA input and not DVI, and don't care if your monitor's casing is made out of ordinary plastic and not purest unobtanium, you can now get a decent 15 inch LCD monitor for not much more than the price of a good 19 inch CRT (Cathode Ray Tube). That might still seem a bit extreme, but 15 inch LCDs used to be more expensive than 21 inch CRTs. Things are looking up. Here are three recent efforts in this area. Two of 'em are hovering around the $AU1000/$US500 price point, and the third one costs more, but for a reason. The Samsung SyncMaster 560V isn't really an "entry level" LCD monitor; the real cheapies use little 14 inch cheap-laptop panels, and this one's a proper 15 incher. But it's a no-frills screen, and it comes in under the magic $AU1000 mark. Aus PC Market are selling 560Vs for $AU979 including Australian delivery at the moment. The Acer FP581 is a nicer looking screen than the 560V. It's got the same panel size as the 560V, but the monitor itself is slimmer and lighter, and it's got built in speakers, too. On the other hand, it's more expensive. Aus PC Market don't quite list the FP581 yet, but they'll have it up shortly, and it should cost around $AU1250 delivered. Samsung's SyncMaster 151MP is the most expensive of these three, but there's a reason. For $AU1849 delivered from Aus PC Market, it gives you dual sound inputs, VGA, composite and S-Video input, picture-in-picture and even a $AU100 TV tuner option. And a remote control. And a pile of cables. All three contenders have 1024 by 768 resolution and a 15 inch diagonal. That's a genuine 15 inches - 15 diagonal inches of actual displayed image. If you buy a "15 inch" CRT monitor, you'll actually get something like a 14 inch diagonal, because CRT size specifications always include some glass that you can't see because it's covered by the screen surround, and on which no picture could be properly displayed even if you could see it. So a 15 inch LCD screen actually has about 15% more display area than a "15 inch" CRT. Or, if you prefer, it's got about 88% of the area of a "17 inch" CRT. The FP581's connector panel is a bit spread out - which is no bad thing - but there's nothing else special about it. Power input, VGA input, audio input. 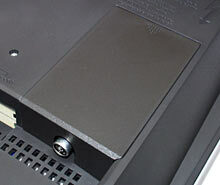 There's also a five volt DC output, which is for use with an optional USB hub box. 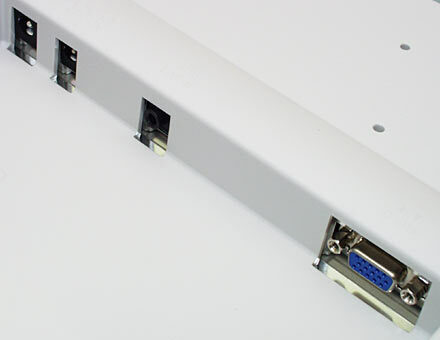 The 560V's connectors are even more minimalist. VGA and power input, and that's it. There are blank spaces for other inputs, but this model of monitor doesn't have them. The 151MP, in contrast, has connectors out the wazoo. 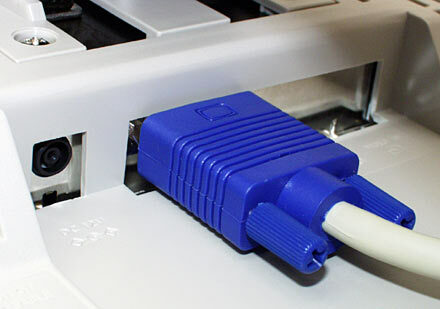 The 151's main connector panel has power, PC video and audio inputs, and blank spaces for some sort of NTSC-only HDTV input that the PAL models of the monitor don't have. 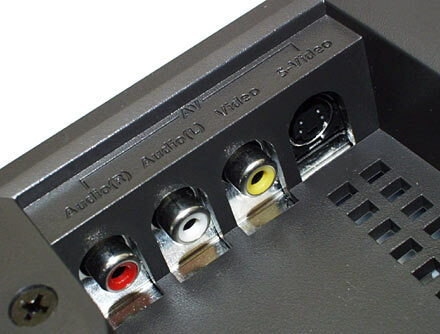 There's also this second connector block, with composite and S-Video inputs, and another stereo audio pair (with RCA sockets this time, instead of a 1/8th inch stereo jack). 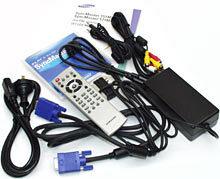 The 151MP's extra video and audio input lets you connect it to any ordinary composite or S-Video source - a VCR, a DVD player, a game console or a camcorder, for instance. 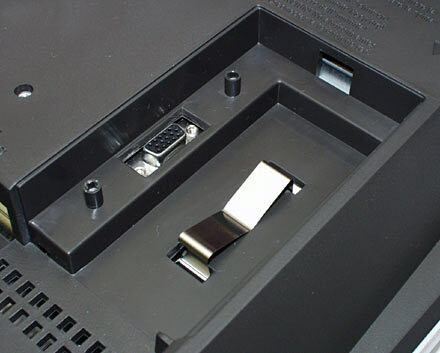 You get separate display controls for computer and analogue video, and the analogue input has sharpness adjustment too. The 151MP also supports Picture In Picture (PIP), so you can overlay your video picture on your computer display. You can steer the PIP window around the display and you can also pick two sizes for it, but you can't make it a postage stamp; even the small size eats around a sixth of the total display area. ...this bay on the back of the 151MP. Screw the tuner in place and pop the cover back on and all you can see of it is a standard coaxial antenna socket. Now, the 151MP is a stand-alone television, with automatic tuning. 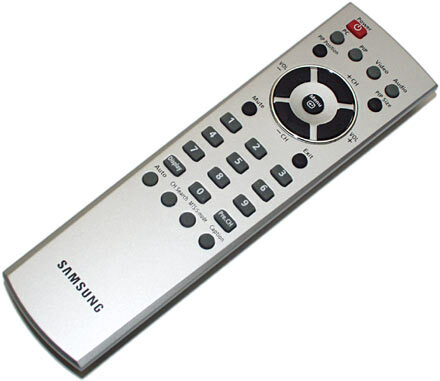 And, of course, full remote control. 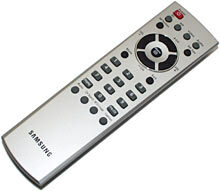 The remote is slim and lightweight, and it's no more ergonomically disastrous than the average cheap TV remote. If you want to use the 151MP as a normal monitor the remote's pretty much pointless, but for video monitor and TV purposes it's great. Because of the 151MP's extra connectors, you need more cables if you want to hook everything up. And Samsung, pleasingly, give you all of them. 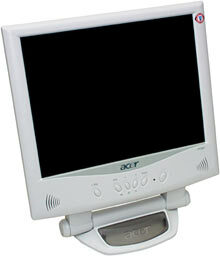 The other two monitors come with power supply and VGA cable and, for the Acer, an audio cable as well, but the 151MP has all three flavours of video cable, a pair of audio cables, and a SCART adapter gizmo that gives you RCA composite video and stereo audio outputs from any SCART-socket-equipped hardware that supports those standards. The 151MP also has a headphone socket on the side. Samsung couldn't think of any more sockets they could put on the thing, so this is where they stopped. 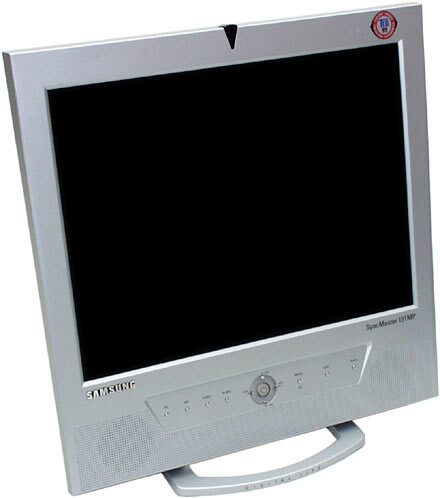 One of the limitations of LCD screens is that, unlike CRTs, they have a definite fixed resolution. Every one of their display pixels is made out of three narrow little vertical subpixels (one each for red, green and blue), and so they can only accurately display one resolution. Which is 1024 by 768, for all three of these screens. 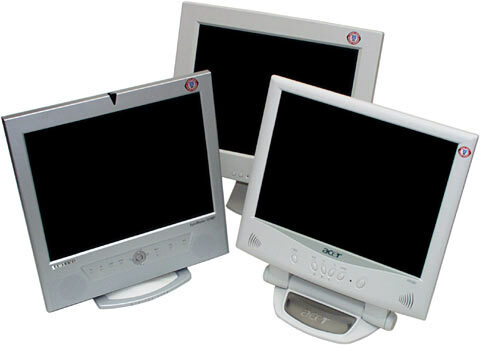 CRT monitors, in contrast, have arrays of very small red, green and blue phosphor dots which don't map directly onto any particular screen resolution. That means they can't ever show you a truly sharp square pixel, unless you're using a very low resolution and have scads of phosphor dots per pixel. This isn't much of an issue, though, because you don't usually want to see razor-sharp pixels. A bit of smoothing off of the corners is actually likely to make the picture look better, as long as you can still tell pixels apart. If you want an LCD screen to display a resolution higher than its actual number of pixels, you'll have to put up with a fuzzy display, because less than one real LCD pixel will be assigned to each pixel in the signal. None of these monitors even try to do that; their highest supported resolution is 1024 by 768. 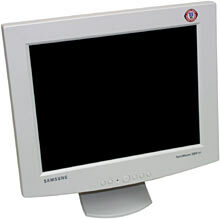 In the olden days, LCDs that tried to display a resolution lower than their real number of pixels also had problems, because they either had to put a black border around the image - so it mapped nicely onto a one-to-one pixel grid, but ended up using less than the full screen - or scale the incoming signal up to cover their whole screen. Which typically resulted in horrible scaling artefacts. Nowadays, LCDs scale lower resolutions much better, and all three of these screens look fine displaying 640 by 480, or even lower resolutions. They smoothly interpolate the lower resolution signal to a full-screen display; the result looks a bit fuzzier than it would on a cheap CRT of the same size, but it's not particularly unpleasant to look at, and it's a heck of a lot better than crummy old whole-pixel-scaling attempts. All three of these screens can also display full 24 bit colour. Again, old LCDs had problems in this department; many could only display a 16 bit (65,536 colour) image. 16 bit LCDs with VGA input work fine with PCs set to 24 or 32 bit colour, but they can't display as many colours as the PC could generate. These three can. All three LCD screens have a comprehensive set of image setup options. LCD monitors don't need as many image geometry adjustments as CRTs, because they're immune to the magnetic contamination and beam angle oddities from which CRTs suffer, and which necessitate all of those odd adjustments like pincushion and rotation and trapezoid. LCDs like these that take an analogue VGA input do, however, need to make sure they line up the input signal with their own pixel grid, in order to avoid hideous moire effects. All three LCDs have manual horizontal and vertical phase settings to handle this, but fortunately they also all provide a simple one-touch setup feature as well, which should work fine for pretty much all situations. Just press the button when you first set up the monitor, or when you switch to a new video mode, and it ought to line up the image itself. All three monitors use an On Screen Display (OSD) to show you menus and settings, but their control systems have different levels of zootiness. The 560V's control layout wouldn't look out of place on a budget CRT monitor, and its OSD's pretty generic too. The FP581's buttons are a bit niftier, in line with its pleasing overall design, and its OSD has animated menu effects. But this is just tinsel; it works pretty much the same as the 560V. The 151MP's buttons, on the other hand, continue to attempt to justify its higher price. Samsung describe the 151MP's shiny silver controls as "soft touch", but they're not, really. They don't actually move at all. The power switch in the middle of the panel is a normal pushbutton, but all of the other buttons work in the same way as a "touch lamp". When you touch them, the capacitance of your body tells the switch that it's been pressed, and something happens. If you happen to be made of plastic, the switches won't work. Fortunately for anyone out there with prosthetic hands or a robotic body, the 151MP's remote has normal buttons, and can do everything the regular controls can, and then some. All three of these screens have very good image quality. By LCD standards. 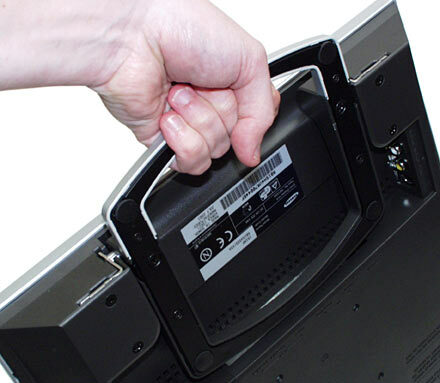 LCDs and CRTs each have strengths and weaknesses in this area. The chief weakness of LCDs is view angle. They look different when you look at them from different angles. Horizontal view angle isn't much of a problem for modern LCDs. You can look at the screen from a pretty steep angle to the left or the right and the picture won't change much. But all three of these screens, like most other LCDs, are not so great when it comes to the vertical view angle. Look up at the screen and it looks too dark; look down at the screen and it looks too bright. This isn't a big issue in everyday use, as it's easy to set your monitor up so you're looking pretty much straight at it. Unless you like taking rides up and down in your gas lift chair, you'll be fine. But even when a line drawn because your eyes and the centre of the screen is perfectly perpendicular to the display, your view angle to the top and the bottom of the screen will of course be significantly different, if you're at a normal monitor viewing distance of a couple of feet at most. There's always, therefore, some slight brightness perturbation; the top of the screen will look a little bit dark and the bottom will be a little bit light. This isn't a drastic enough effect that it's likely to matter for anybody who's not doing demanding graphic design work. But it's still disappointing, if you were expecting your new LCD monitor to be better than a CRT in every respect. In overall image quality, I found it very hard to pick between the FP581 and the 151MP. They both have good solid blacks and pleasing colour reproduction. The 560V isn't far behind, but it's a little brighter and a little more washed out, and fiddling with its contrast and brightness settings didn't seem to help matters much. No cheap LCD monitor so far can manage really black blacks, compared with a CRT monitor. Because the LCD design is based around the LCD array blocking light from its white backlight, and because it can never block quite all of it when all or part of an image is meant to be black, LCDs tend to look like a CRT monitor with its brightness set a bit too high. The ratio between the lightest white and the darkest black a monitor can display is called the "contrast ratio". The contrast ratio for a CRT can be enormous, because it can display a proper black by simply not lighting up any phosphors; when the black level is zero, the ratio between it and any white level is infinite. LCDs generally have a contrast ratio of a few hundred to one. Accurate contrast ratio numbers are hard to come by, because there's no standardised way to test it. So there's not a lot of point even looking this specification up. But, as I said, the FP581 and the 151MP both look very good, and the 560V isn't much worse. They'll all glow a bit in a dark room even when they're meant to be displaying a black screen, but none of them have the awful greyed-out look of old-style LCDs. The quality of the 151MP's TV image is better than the average for 15 inch TV sets, but it looks distinctly different from normal CRT TV, because it's not interlaced. To save bandwidth, television video is composed of a sequence of half-frame "fields", with the fields containing all of the odd-numbered image lines, then all of the even-numbered ones, and then all of the odd ones again, and so on. There are 50 or 60 fields per second for PAL and NTSC respectively, and they add up to 25 or 30 real frames per second. This interlaced signal takes half as much bandwidth to transmit or store as would a real 50 or 60 frame per second signal, but it's not nearly as flickery as a plain 25 or 30 frame per second signal. It's a good compromise. PC monitors used to use the same trick, but flicker matters more for high resolution screens seen close up, so all current PC displays are non-interlaced. LCD TVs, and various high-spec CRT ones as well, also don't do interlace. They generally line-double the signal instead - doubling the height of every line in every field and displaying them as true frames (with half the vertical resolution you might expect), at 50 or 60 real frames per second. This looks distinctly different from interlaced TV, in a way that's not easy to pin down. The frame rate's not really any higher, but the flicker's gone away. This certainly doesn't make the picture any worse, but it doesn't look much better, either, if you ask me. Really big screens benefit from de-interlacing, because having a large portion of your field of view as a flickery interlaced display is fatiguing. I don't think there's much need for it on a 15 inch screen, though, unless you're sitting very close to it. By the way, if you've got a lousy TV signal or an old VHS tape, the noise and herring-boning and ghosts sure aren't going to look any better on a razor-sharp LCD screen than they would on a cheap CRT. An LCD TV with genuine 1024 by 768 resolution won't actually make even good VHS video look any sharper; VHS has pretty darn miserable resolution in the first place. Any old 15 inch portable CRT TV should have as much screen resolution as is needed to display VHS as sharp as it'll ever be. If you're watching DVDs or some other higher resolution composite or S-Video source, though, it'll be distinctly sharper on a 15 inch LCD than it will on a cheap small CRT. 720 by 480 DVD video won't look its best on a cheap TV. How close you'll need to be to the screen to notice sharper video, though, depends on your eyesight. At normal living-room viewing distances with a 15 inch screen like the 151MP's, the difference is likely to be trivial. In a dim viewing room, the better contrast ratio of a CRT screen may outweigh the 151MP's resolution advantage. The speakers in the FP581 and 151MP are about as good as you'd expect. Which is to say, not very. With a cabinet volume approaching zero and teeny little cones, there's not much room for bass response. And they're close enough together that you don't get much in the way of stereo separation, either. The only sound control the FP581 offers is volume, which you access like brightness or contrast by pressing one button on the front of the monitor, and then adjusting the value with the left and right buttons. 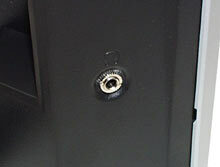 The 151MP has simpler volume control, with the left and right buttons on the monitor and its remote. It's got a mute button on the remote, too. There's also treble and bass boost - which make a noticeable, but not especially drastic, difference - and a "surround" feature as well. This uses psychoacoustic voodoo to make the speakers sound further apart, and, like most current systems that aim to do this, it actually works pretty well. It's not nearly as good as a proper pair of speakers a decent distance apart, but if you're listening to music or watching movies and have to use the 151MP's built in speakers, you're practically certain to prefer "Surround" turned on. If you want Surround for your movies but not for your Windows beeps, no problem; the computer and video sound settings on the 151MP can be adjusted separately. All three of these monitors have an outboard power supply - a little multi-voltage "power brick" with an IEC mains socket on one side and a cable coming out of the other with a DC barrel plug on the end of it. 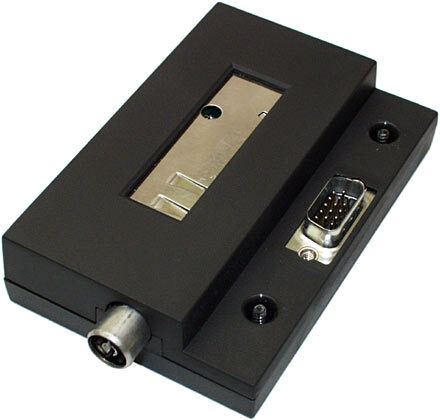 All three supplies deliver 12 volts DC, and so you shouldn't have any trouble running these monitors from any other 12 volt source you like, as long as it's well regulated and can deliver the three to 4.5 amps the monitors want. Just plugging them straight into a car cigarette lighter socket with an appropriate cable isn't necessarily a great idea. This is partly because car electrical systems actually deliver 13.8 volts when the engine's running, but it's mainly because the lighter socket output is typically quite poorly regulated, and may have all sorts of nasty spikes and noise. If you've got a proper 12 volt power setup in your mobile home or solar powered house, though, or if you connect a regulated high current DC-to-DC converter to your cigarette lighter socket, you won't have to bother with an inverter and the standard PSU to run one of these things. It wouldn't be rocket science to hang any of these screens off the back of a seat in a van. All three monitors only consume a few watts when they're in standby mode. When they're actually displaying something, the SyncMaster 560V is alleged to consume 25 watts, the FP581's rated at 36 watts, and the SyncMaster 151MP needs 40 watts. For comparison, a 15 inch CRT monitor will consume between 150 and 200 watts when it's not in standby mode. A TV of similar dimensions is likely to need less than half as much power; lower resolution, lower scan rate screens need less juice. In standby, there's little difference between CRT, LCD and TV, because none of them monitor actually have their display powered up. No LCD monitor is a great trial to move around - well, not compared with a CRT with a similar display size, anyway. But two of these monitors are better than usual. The 560V's got no special portability features. It weighs a relatively hefty 5.2 kilograms with its stand (but without its power brick), and there's no carry handle. You'll have a hard time finding a PC monitor that's less than about three times this weight, of course, but for a 15 inch LCD, the 560V is not excitingly light. The 151MP, however, has a stand that doubles as a handle. Press a latch that allows the stand to fold flat and bingo, you've got a portable monitor. The monitor only weighs 3.5 kilograms (again, not including the little power supply), so it's easy to move around. The FP581 does the same trick. And it only weighs 3.3 kilograms. 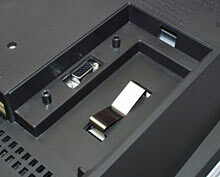 There's a smoked-plastic insert that's meant to sit in the FP581's handle cut-out when you've got the stand folded out. It seems to have no purpose beyond displaying the Acer name, and waiting to fall out and get lost. You might as well leave the insert in the box. 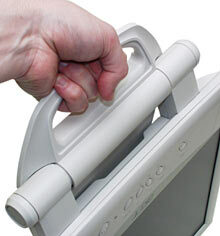 Of course, you can't just go wandering around merrily carrying an unprotected LCD monitor like a lunchbox. Well, you can, but it probably won't be long before you either give the screen a good solid unrepairable scratch, or just whack it on the corner of a table and turn the LCD panel into a piece of modern art. If you ignore the non-trivial risk of someone hitting you with a five cent piece of wood and then running away with your thousand dollar LCD monitor, though, these carry-handle-equipped screens are pretty safely portable. Just tape a piece of solid cardboard, or some such, over the screen, and head off to the presentation or LAN party or what-have-you. Easy. None of these monitors had any glaring pixel defects. No locked-on subpixels at all that I could see, and no serious locked-off ones, either. LCD panels with no defects at all are, to the horror of many buyers, very hard to find. Every subpixel on an active matrix screen has to have a transistor behind it, and with three subpixels per pixel, that's 2,359,296 transistors on a 1024 by 768 screen. Now, CPU companies manage to turn out tons of processors that have a lot more transistors than that. But the transistors in an LCD screen are made by a quite different process, which is more prone to problems. If every LCD panel with a subpixel or three that didn't quite behave properly was thrown out, LCDs would cost a lot more than they do. So, instead, the manufacturers just have rules about how many defects are allowed, and in what proximity to each other. These three screens must have passed the tests with flying colours; I didn't go over them with my magnifying glass, but no defects jumped out at me on close naked-eye inspection. I might just have got three unusually good ones, of course. It still pays to have a close look at an LCD in the shop before you buy it. But, for what it's worth, I've seen much worse review screens than these ones. Would I pay for one of these? But that's only because I don't need the special features of an LCD screen. I don't have to carry monitors around much, for a start. I also don't have a workspace that's sufficiently cramped to justify paying a slab more money to get a much slimmer screen. I'm not enough of an energy miser that a monitor with a quarter of the usual power draw matters to me. And if I want to watch TV while I use my PC, I'll buy a cheap little TV and sit it near the computer. Accordingly, if I had a thousand Australian bucks to drop on a monitor, I'd buy a decent 19 incher (like this one, for instance), and enjoy my hundred dollars in change. LCD screens still aren't quite ready for the mass market. The big fat heavy power-hungry CRT's days are numbered, but the number is still pretty big. If you're looking for a 15 inch LCD with good image quality and a not-too-painful price, though, the SyncMaster 760V seems a good choice for the money. It's not got the best image quality ever, but it's a long way from lousy, and the price is right. The Acer FP581 has noticeably better picture quality than the cheaper Samsung, and it's light and sleek and easy to move around. It'd be a great choice if you need a desktop space saver - the built-in speakers are a nice touch. You could also do a lot worse if you're shopping for a LAN party monitor. Sure, you can get a very serious 19 inch CRT for the same money, but I've seen the physique of the average LAN party patron. These people do not want to be carrying 23 kilogram monitors around. The SyncMaster 151MP is far too expensive, if you just want a computer monitor. But if you're in the market for an ultra-portable multi-function display device with a plethora of inputs, the 151MP is an excellent solution. It doesn't do much that you can't do with a cheap computer monitor and a cheap TV which, together, would cost you about a third as much. But the 151MP takes up a lot less space, weighs a lot less, and uses a lot less power. Which is the big deal about LCDs in a nutshell. If space, weight and power consumption matter enough to you to justify the price premium, then LCDs are already worth buying. Otherwise, hang about. Funky flat screens are getting cheaper all the time. Warning! Contains toxic amounts of Macromedia Shockwave! Readers from Australia or New Zealand can purchase LCD monitors from Aus PC Market. Dead flat, good size, nice price and a cherry on top. Super image quality, and excellent value for money, too! 19 inch screens; high quality, low price. A cheap(er) LCD screen. So what's the catch? Sony, Samsung and IBM LCD monitor shootout!